On December 15, 2002 I awoke from a dream in which a loud booming voice demanded “You must organize housing for people with AIDS!”. The first thought that popped into my head was “Okay, but it can’t be five guys in a room making decisions. It has to stay connected to the people.” I got up and pattered into the kitchen to boil water for coffee. Before the first bubbles formed, I got a call from the building manager, Eddie Rahaim, where my partner James lived. He said “Brian, you and James are so wonderful. We have 2 apartments opening up and we want to rent them to people with AIDS who have a rent subsidy. I figured if anybody in this town knows how to do that, it’s you”. I immediately got into problem solving mode. While he was still talking I flashed back to being the first employee at Positive Resource where we focused on work referrals for people with AIDS. In my mind I said: “Work referrals. Housing Referrals. I know how to do this”, and told him I would get right on it. I called Matthew Bajko at the Bay Area Reporter and described the new non-profit I was starting. 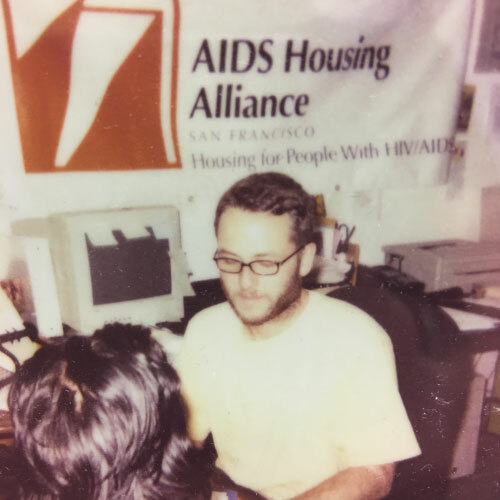 He told me to get an office and he would write a story, so I called Tommi Avicolli Mecca at Housing Rights CommitteeSF who talked to his Executive Director, Rebecca Logue-Bouvee and they agreed to provide rent free space in their office. 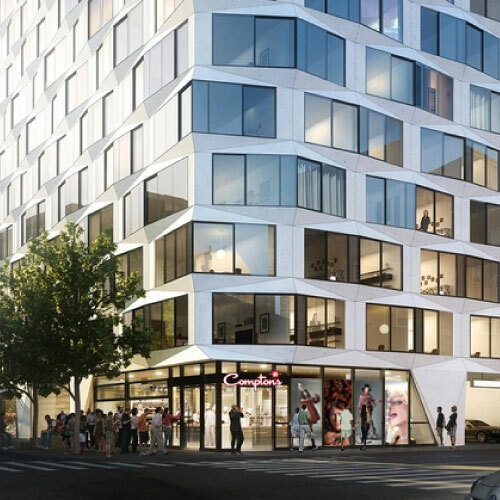 Within the space of 3 hours we have the program concept, office space, and an article in the Bay Area Reporter and another in the San Francisco Chronicle. Some people will say this dream came from God or the Gods. Some people will seek answers in the DSM (Diagnostic and Statistical Manuel of Mental Disorders). I don’t know where this dream came from. I was on an HIV drug at the time called Sustiva that is well known for producing vivid dreams so maybe that’s what it was. We will never really know and to me it doesn’t matter. For me, the important part is that I am literally living my dream. Which is kinda cool. 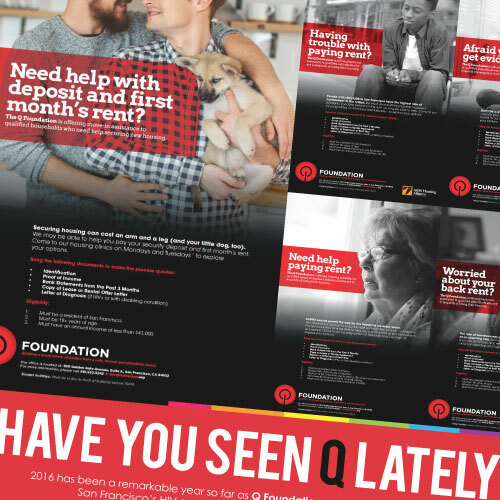 Q Foundation believes in a world where all people have a safe, decent, and affordable home. 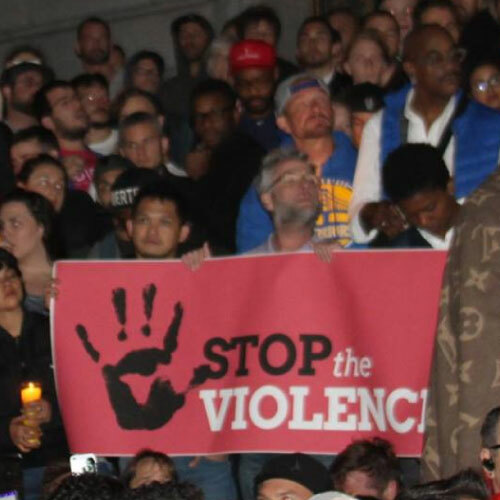 Toward that vision, we prevent homelessness for members of the LGBTQ or HIV+ communities. Our genesis as a housing rights organization founded and run by disabled people with AIDS informs our values and is guided by three documents: The U.N. Declaration of Human Rights, the Denver Principles, and the U.N. Convention on the Rights of Persons With Disabilities. We suggest clicking on the links above to read the full text of these important efforts to promote human rights. Boiled to its essence is the radically inclusive slogan, Nothing About Us Without Us. We value the use of technology to enhance the efficient and effective delivery of services. Q Foundation understands and accepts that suffering in our communities is inextricably linked to an imbalance of power in society. This imbalance is reinforced by laws that oftentimes preference those with relatively more means at the expense of those with less. For instance, speculative real estate evictions in order to ‘flip’ rental properties for profit is a main cause of homelessness for people with HIV/AIDS in San Francisco. The ability to take this action was voted on and approved by our elected representatives in Sacramento through what is known as the Ellis Act. Efforts to reduce homelessness by changing this law have been thwarted by those same elected officials. Our role is not to side with those who already have attained relative power, but to organize the less powerful to defend themselves against abuse. We embrace and pursue power, with the hopes of implementing systems that help minimize it’s abuse. Toward this goal, we developed a guide for decision-making called The Iron Triangle of Power. This system filters decisions through the Three M’s. Our aim is to thread decisions through the triangle bounded by the Three M’s in order seek balance that can maximize impact. Losing one of the sides of this triangle is to lose them all, risking becoming that which we were founded to provide counter-balance. Maintain Moral Authority: (a.k.a. Always do the right thing). We employ values-based leadership as our core decision-making tool. Leading with our values provides an effective counterweight to the tendency to lead from fear. Too often, non-profit leaders avoid doing the right thing because they are afraid. They fear loss of revenue, loss of power, loss of prestige. This fear is not entirely unfounded. Executive Directors have responsibilities to their staff, their funders, boards, and the people they are founded to serve. Sometimes the threat to toe the line is real. However, we must be eternally vigilant that our focus must always be on what is best for the communities we represent. In the face of fear, do the right thing anyway. 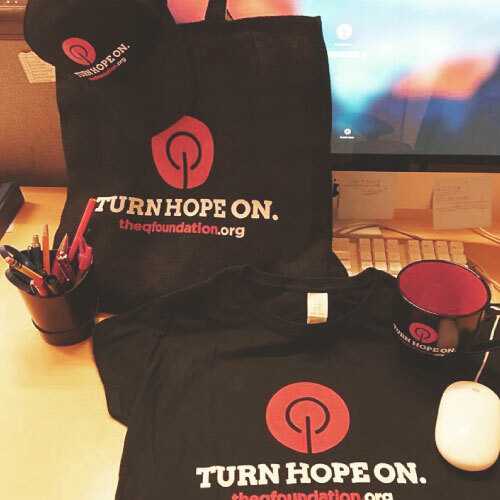 Mobilize People: Our vision is for Q Foundation to be a platform that informs and inspires individuals, communities, and allies to gather collective power to affect positive change. We are a union of people living with HIV, members of the QLGBT communities, and our allies and co-conspirators who have come together to care for ourselves, each other, and to achieve change to remove barriers to housing stability for our communities and for society as a whole. Creating space for self-advocacy and empowerment is an integral component of individual and community healing and resiliency. Make Our Own Money: An organization must strive to attain economic independence in order to strengthen its ability to maintain moral authority and mobilize people. All three sides must be reinforced to support the Iron Triangle of Power. In too many ways, the non-profit sector is only allowed to be just effective enough to maintain social order. There is resistance large and small to changing the power dynamic that creates the conditions for suffering. We remain aware that the attractive power of money is the main tool used to co-opt social movements and non-profit infrastructures. Housing is a human right. Furthering the human rights of its residents is the primary function of government. Human rights are not predicated on the charitable impulse. Rights are not charity. They exist and must be defended and furthered regardless of the popularity within philanthropy. In the world of housing rights, there exists a fundamental conflict between rights and philanthropy that does not always exist in other sectors. The job of tenants and their supporters is to achieve the greatest housing quality for the least amount of rent. The job of landlords is to maximize rent and minimize investment in upkeep and quality. Many times, those with means in philanthropy tend to be landlords, friends of landlords, and those who wish to cater to their wealth, such as banks, real estate agents, lobbyists, and the like. Too often, non-profits become dependent on this sector of society for financial contributions, creating a conflict with supporting and furthering the housing rights of the people they solicit donations to serve. Our fundraising philosophy is more concerned with furthering government investment in the housing rights of its residents, and less with capitulating to wealth. We employ the use of social entrepreneurship to raise funds while employing members of the communities we are a part of and serve. We value individual fundraising that is always accessible to our members.